At Ultimate Interior Design & Installation in Stoke-on-Trent, Staffordshire, we are dedicated to designing inspiring bespoke home improvements, from filly bespoke kitchens and bathroom designs to furniture. Our personal approach, individual service, and high-quality installations result in your 100% satisfaction. In fact, 75% of our work comes from recommendations by other satisfied clients! 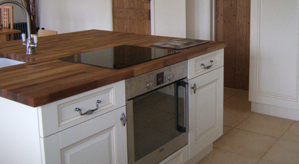 For more information on our bespoke kitchens, bathrooms, or office and bedrooms design, book a consultation today. We have no showroom – we visit you and discuss what you would like to achieve, measure up and from there, we go away and come back with one or more designs for your consideration, together with a detailed quotation to give a realistic idea of the cost. We use a modern computer aided design system to produce plans and images so that the client can obtain a realistic insight to how the finished project will look. When we have this we will visit you again, discuss the design(s), make any changes required and then progress to the selection of materials, colours, appliances etc. When the customer is happy with the overall design, we will then agree a start date for the project. One person will manage the project from start to finish and liaise with the customer at all times. We only use products from tried and tested sources and a wide variety of both man-made and natural products are used. 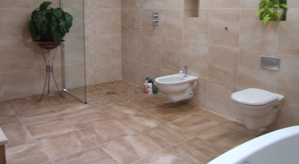 Often bespoke products will be used to ensure that the most efficient use is made of the space available. All the work will be carried out by suitably qualified and experienced staff and certified in accordance with current building regulations. We will carry out the entire project, the customer does not need to worry about organising anything, it will all be done for them. 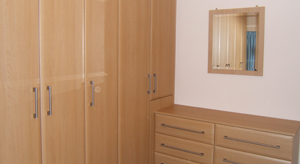 Contact us in Stoke-on-Trent, Staffordshire, to request an estimate with our experienced designers.